Huesca vs Athletic Bilbao predictions for this Monday’s game in Spain’s La Liga as two resurgent sides clash. Read on for our free betting tips and predictions. The Monday night game this week in La Liga comes from the tiny Aragonese town of Huesca. The visitors are Athletic Bilbao and it sees two sides who have had impressive recent runs meet. They have already met three times this term with Athletic winning the last two by 4-0 margins in the Copa del Rey but Huesca effectively gave up on that competition by fielding fringe players and we should see a much closer game here. Huesca are playing as well as they have done all season and come into this match looking for a 3rd straight win. Remarkably they failed to keep a clean sheet in any of their opening 20 league games but have kept 3 on the spin since then. Their 2-0 victory at Girona last weekend has given them a genuine glimmer of hope in their battle for survival, although they remain rooted to the foot of the table with 15 games to play. 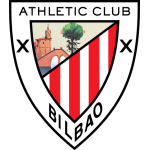 Athletic Bilbao are 9 points better off but still have work to do in order to avoid a nervy end to the season. They were impressive last weekend, drawing 0-0 at home to Barcelona in a game they could easily have won. They’ve lost just once in 9 league outings since appointing Gaizka Garitano, who has made them much tougher to break down with only 5 goals conceded in those matches, while they restricted Barca to hardly any openings last time out. This is another game that doesn’t exactly look likely to produce much goalmouth action. Huesca will be wary of the pace of Inaki Williams so are unlikely to push too far up the pitch. Having gone almost 300 minutes without conceding, they will back themselves to limit Athletic to few chances but they do remain a bit short on quality in the final third. Heading into match-day 24, only Real Valladolid have scored fewer league goals than these two clubs, who both average exactly one per game. Both Huesca and Athletic have made coaching changes this term that have effectively seen them change to a more defensive approach and overall backing Under 2.5 Goals & Both Teams to Score – NO looks good here, with Athletic Bilbao league games averaging just 1.55 goals per game under Garitano. Backing the Draw also appeals. 52% of Athletic’s league outings this term have finished level while 4 of Huesca’s last 9 at home have done likewise. 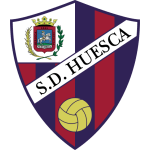 Huesca are winless in their three games against Athletic in all competitions, all coming this season (D1 L2), one in LaLiga and two in the Copa del Rey. Athletic won 4-0 against Huesca in their only visit to El Alcoraz in December 2018 in the Copa del Rey with two braces from Aritz Aduriz and Iñaki Williams. After failing to win in their first eight LaLiga home games, Huesca have won two of their last three (L1). After winning against Girona in the last matchday, Huesca have won back-to-back LaLiga games for the first time and they could now do it at home if they win against Athletic. In their last game at El Alcoraz in LaLiga against Valladolid, Huesca registered their biggest win in the competition (4-0) – their only clean sheet at home in LaLiga. Athletic have only won one of their last 14 LaLiga away games (D7 L6), defeating Celta de Vigo in January (2-1). Excluding own goals, Athletic’s Iñaki Williams has been directly involved in five of his team’s last seven away goals scored in LaLiga (four goals and one assist). Huesca’s Ezequiel Avila has scored his team’s last three goals in LaLiga, including a brace against Girona.